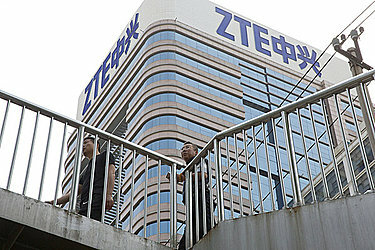 GENEVA (AP) — The U.N. telecommunications agency's chief says several African countries are concerned about the possible fallout if Chinese telecom equipment maker ZTE Corp. collapses in a standoff with the United States. Houlin Zhao, secretary-general of the International Telecommunications Union, said such concerns were raised at the Transform Africa conference in Rwanda this month. Speaking Monday to reporters in Geneva, Zhao summarized the concerns that if ZTE's systems were stopped, "then our systems would be stopped as well." ZTE said this month it had halted its main operations after the U.S. government blocked it from importing American components for seven years. The Commerce Department accused the company of misleading U.S. regulators over sanctions against North Korea and Iran. The Trump administration has said it's reached a deal to keep ZTE in business.